Foot pedal is in great condition and operates perfectly, it has been cleaned and serviced and is ready to go. From fat crunch to ultra high-gain distortion, the ST-2 Power Stack delivers famous BOSS distortion with a stunning amount of power that’s akin to coveted tube amps and professional amp stacks. The SOUND knob simultaneously blends gain amount and sound character, so you can quickly dial up anything from vintage crunch and punchy drive to full-assault distortion. To add further detail to your tone, simply tweak the onboard two-band EQ to taste. 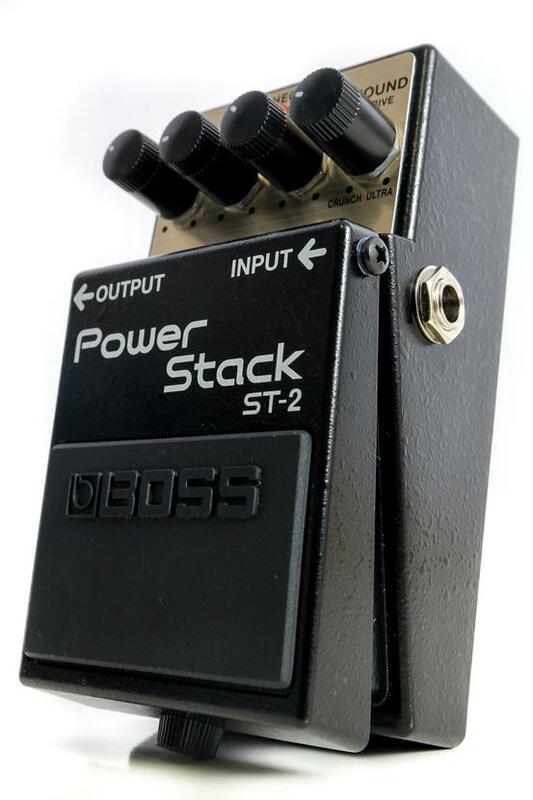 The ST-2 is one very unique distortion pedal, calling on BOSS’ years of amp modelling research to bring you real stack sounds in a compact stompbox. Current Draw | 36 mA (DC 9 V) * Expected battery life under continuous use: Carbon: 3 hours. Alkaline: 10 hours. These figures will vary depending on the actual conditions of use.